It all started as most PETA campaigns do – like a gregarious stunt. In 2008, the animal rights organization offered up one million dollars to the first scientist who could create and bring to market in vitro chicken – poultry meat created from a few chicken cells, rather than from a whole bird. They had until June 30th, 2012. PETA’s proposition wasn’t a mere media stunt. 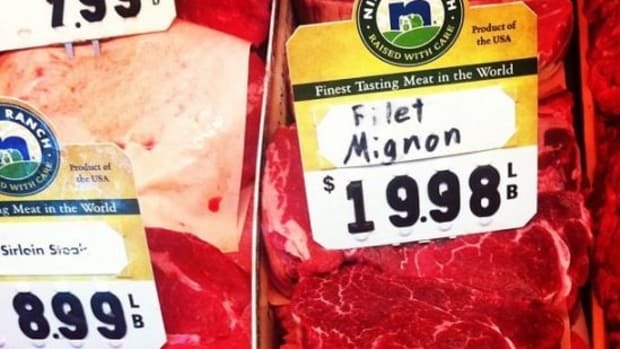 If anything, it was foreshadowing the massive shift happening in our food system – a not-too-distant future where vegans are running the global meat supply. Scientists tried. Teams at the University of Missouri and the Netherlands’ University of Maastricht worked diligently, but the cost of bringing lab-grown meat, “clean meat” as its come to be known these days, was prohibitive. PETA, willing to go to any lengths to bring a viable alternative to the massive livestock industry, extended its deadline after the 2012 date came and went with no victors. The deadline moved to March 4th, 2014. Still, no one was able to claim the prize. Research labs and for-profit businesses were tempted by the million-dollar PETA bounty; but they also saw beyond that, too – the ability to “grow” lab meat without the inherent problem of having an animal attached to it would revolutionize our food system, laying the groundwork for one of the most profound shifts humanity has ever seen. And a lucrative one at that. If successful, companies producing clean meat stand to gain far more than the promise of one million dollars. They&apos;d be as profitable as the companies leading the near-trillion-dollar global meat industry. Quite likely even more so. 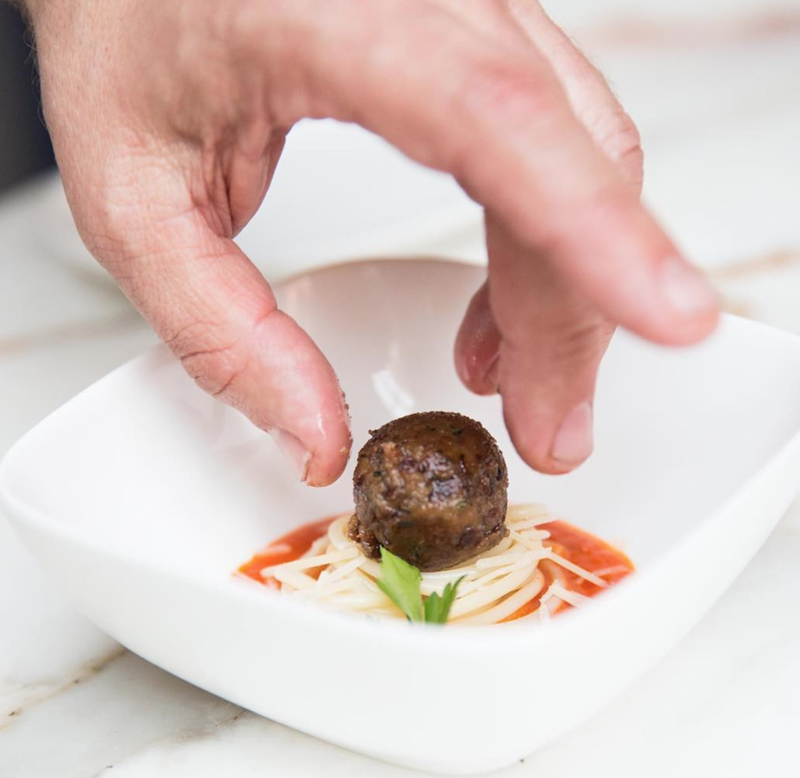 Last month, China signed a $300 million deal with SuperMeat, Future Meat Technologies, and Meat the Future – three Israeli clean meat producers -- in what many are hailing as a clear sign that the days are finally numbered for factory farmed animal products. But just how is it that ranchers and industrial farmers may soon be replaced by the work of animal rights organizations, ethical scientists, and vegan entrepreneurs? The first step in understanding this 180-degree shift is looking at our current food system – and the flaws of industrialization, particularly in the livestock sector. Bigger, faster, cheaper has been the mantra of the last half century, but it&apos;s only proven that while it&apos;s indeed bigger and faster, it isn’t better. Between the gross mistreatment of animals and misuse of natural resources, to our predilection toward a diet laden with processed meat, sugar, and fat -- it’s not a stretch to say we’re lucky to have made it this far. Obesity rates continue to climb, toppling 39 percent in the U.S., as do rates of type-2 diabetes, cancer, stroke, heart disease, and scores of other life-limiting illnesses. We’re erasing ourselves from history one Happy Meal at a time. And, says, Josh Tetrick, the vegan founder and CEO of Hampton Creek, “we desperately need new tools.” Problems are often best solved by people looking in from the outside. Vegans, in this case, offer the meat industry perspectives to the problems it wasn&apos;t seeing and solutions it likely never imagined. Hampton Creek made a name for itself with its Just Mayo and dressings that replace egg with pea protein. 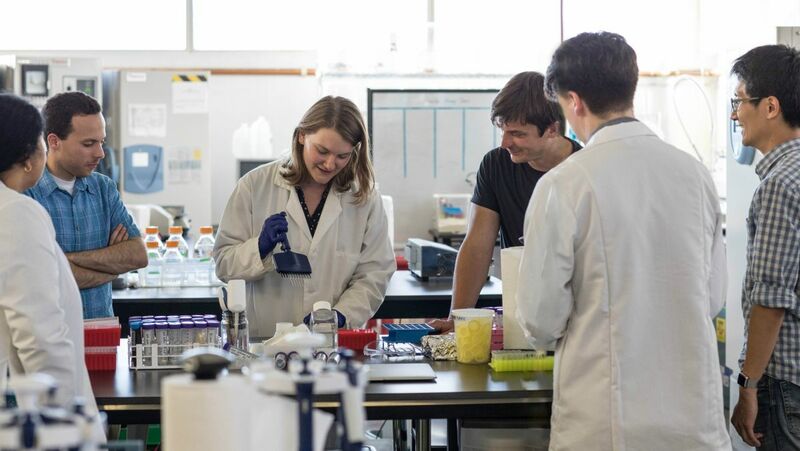 But the Bay Area company completely rocked the food industry this summer when it announced it’s going to be first to market with lab-grown clean meat and fish that’s price and taste competitive with its "real" counterparts. But what exactly is “clean” meat? Clean meat’s been called lab-grown meat, in vitro and test-tube meat, cultured meat, and even Frankenmeat. But the industry’s parallel to clean tech – a sustainable, renewable, and ethical alternative to the conventional industry standards – seems to have cemented its new moniker, not to mention its literal definition found in the absence of raising and slaughtering billions of animals every year for meat. While the science is certainly an innovation, the process itself is a lot less exciting than it sounds, unless you find watching yogurt ferment or kombucha brew exceptionally fascinating. While clean meat doesn’t have the probiotic effects of fermented foods, it’s grown in much the same process – cells are cultured from an animal, without harm, and allowed to grow. Certain cells are more prone to do that than others, Tetrick explains, and it’s figuring that out that’s the hard part. Everything after that is all a matter of patience and proper care. By removing the messiness of breeding, raising, killing, and processing animals, clean meat is also removing the most serious risks associated with meat -- which, in today&apos;s meat market aren&apos;t just the good old high cholesterol and heart disease of last century, there&apos;s also the rampant issues of foodborne illness, antibiotic resistance, avian and swine flu, to name a few. Working with meat at the cellular level also delivers the ability to include “additional functionality,” Tetrick notes. Scientists can also grow meat that’s lower in saturated fat, or contains more iron, for example. Watch the story of Ian, a chicken whose cells created Hampton Creek&apos;s clean meat. Josh Balk, senior director of food policy for The Humane Society of the United States farm animal division, co-founded Hampton Creek with Tetrick. He says it was the first food company viewed as a tech company – and that was a pivotal moment for our food supply. 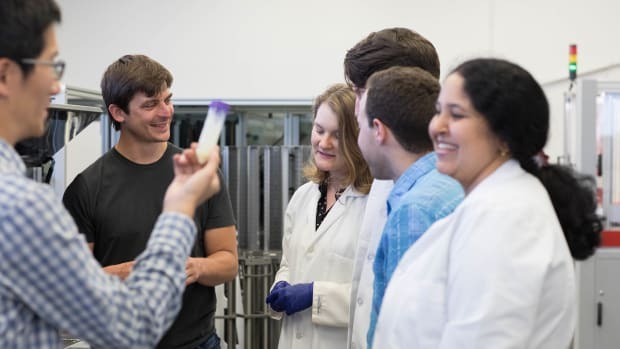 Hampton Creek has spent more time developing tools to identify new proteins, fats, polysaccharides and other plant components than it has on practically anything else. (And it&apos;s done a lot to revolutionize the food system in the last few years.) It has patented technology that can look at all of the 357,000 some species of plants on earth and identify new possible uses for each one of them. The technology will be used not only to produce better Hampton Creek products, but it’s also a tool it can share (for a fee) with any company looking for novel ingredients. “A plant we use for flour or animal feed may have so many more functions than what we’re currently using it for,” says Tetrick. The company gives secret code names to its research projects, treating something as unsuspecting as a mung bean like a protected national security secret. But these tools – and this critical understanding of all of a plant’s functions -- is at the forefront of writing the future of food, not just for meat, but quite possibly all food as we know it, particularly as a changing climate changes the nutrient profile and accessibility of common foods. Plants will be used to feed cells that turn into eggs, milk, butter, and even just better-tasting plant products. But they’ll also be used to create the new era of meat. "It’s the DNA of a steak without the DOA of a cow." From an animal rights perspective, there’s no downside to clean meat. 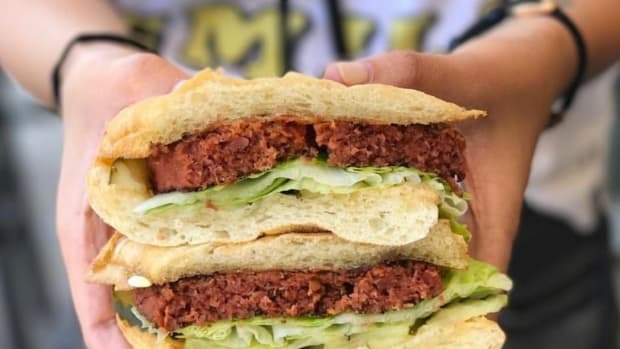 While notable technology continues to happen on the plant side (Impossible Foods and Beyond Meat lead the charge there with their meaty plant burgers), clean meat is a step closer to satisfying everyone. It’s the DNA of a steak without the DOA of a cow. It’s also that line in history that some say pulls us firmly into a new age -- the beginning of a post-speciesism era. And the meat industry is buying into it, big time. There’s China’s recent commitment that made headlines last month. Hampton Creek says it’s also in talks with some of the world’s largest meat producers. The Bay Area&apos;s Impossible Foods recently raised $75 million. 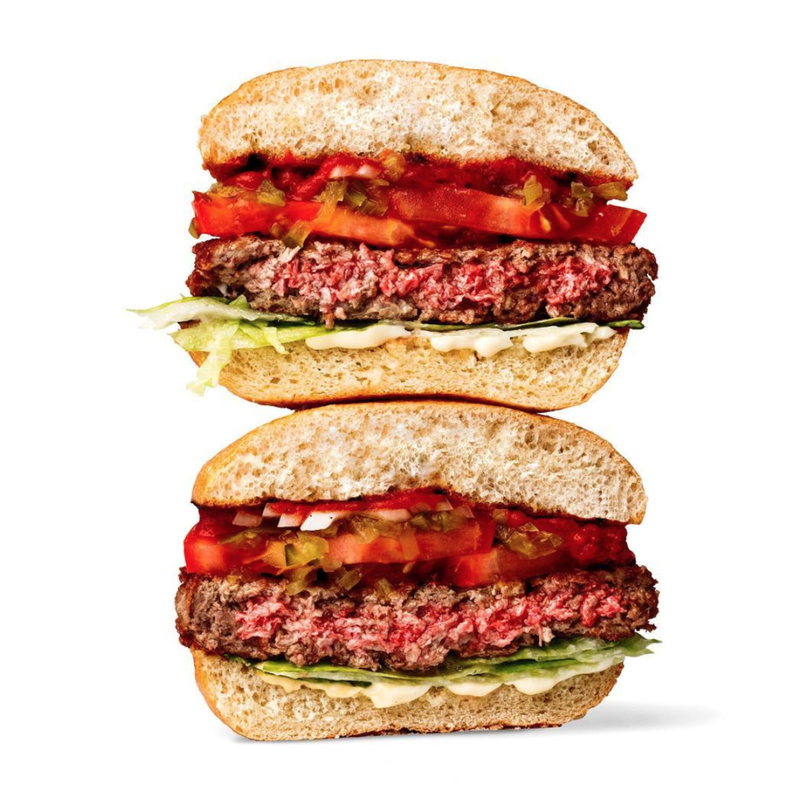 And last year, Tyson Foods, the largest producer of meat in the U.S., invested in Beyond Meat, the El Segundo, Calif., startup that spent years crafting its iconic Beyond Burger. It’s a patty made from plants, but meaty enough to fool committed carnivores. While people are often quick to criticize a company like Beyond Meat for taking money from Big Meat, Beyond Meat Founder and longtime vegan Ethan Brown says it’s an even bigger step for Tyson. “It’s a huge moment of courage [for Tyson],” he told me last January, shortly after Tyson invested. Clean meat technology solves a lot of problems for the meat industry – from the ethical to the logistical. And it doesn’t hurt that there’s a potentially new revenue stream for the meat industry in clean meat, too. “More and more shareholders are looking for companies promoting sustainability,” says Bruce Friedrich, executive director of the DC-based policy group and incubator, the Good Food Institute. Even though sales of animal products are on the uptick, particularly in the developing world, there’s no question consumers here in the U.S. are opting for alternatives. The plant-based protein market just surpassed $5 billion in sales earlier this year, and most of the people buying these products aren’t vegans. They’re the flexitarians, the Tom Bradys of the world who rely heavily on a predominantly plant-based diet, but still add in small amounts of animal protein. 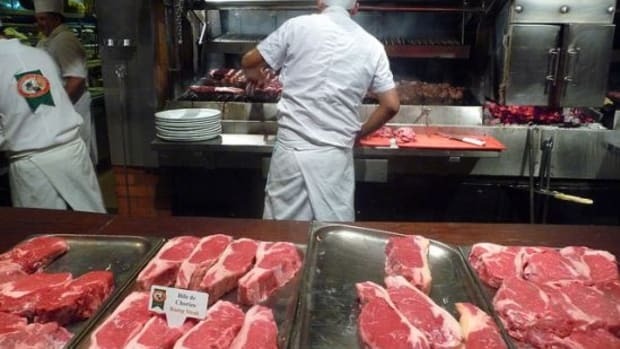 "There needs to be a way to produce large quantities of meat that is delicious, sustainable, and better for the planet, animals and public health." It’s an understandable argument; perhaps the biggest issue with our current food system is how distanced it is from the whole foods still caked in dirt and sweat we should be eating instead of Doritos. But when it comes to animal products, save for the extremely small number of farms where animals truly live off the land, most animals raised for food never see much dirt or sky, if any, in their short lives. Friedrich says it’s also important that we recognize the human suffering in the conventional meat system as well. “If you look at reports of industrial farming you’ll see we now have a fraction of the number of pig or chicken farmers that we had ten or twenty years ago,” he explains. “Even as the number of animals have gone up the number of so-called farmers producing them have plummeted. It’s not the plant-based industry consolidating; its Big Ag.” And that’s coming at the expense of workers asked to do more work faster and for longer periods of time. It&apos;s workers brought to the U.S. illegally with nowhere to go and no one to help them find better jobs. U.S. chicken processing facilities move 140 birds per minute, which already takes a significant toll on workers’ health, with conditions like carpal tunnel or machine-related injuries on the rise. Recent legislation wants to deregulate the line speed, which many experts say could be disastrous. Factory farms and slaughterhouses have some of the highest rates of worker injuries, as Organic Authority reported last year. The 2005 Human Rights Watch report “Blood, Sweat, Fear” notes that a human rights crime occurs in slaughterhouses every twelve seconds. "We expect our process to require up to 90% less land, water, and greenhouse gas emissions than conventionally-produced meat." But a widespread shift to plant-based or clean meat isn’t just purporting to solve our ethical dilemmas over eating animals. It takes away the very serious environmental issues connected to livestock production that have become considerably pressing in recent years. By removing the breeding of billions of animals every year, methane emissions would nearly cease. Methane is responsible for about 10 percent of gases contributing to climate change, according to the EPA, and most of it can be traced back to farm animals. But there’s also the razing of rainforest in numerous countries to grow crops to feed these animals. Replacing them with monocrops dependent on herbicides is also extremely damaging to the planet, causing pollution of air and waterways, loss of native flora and fauna, and these chemicals are particularly threatening to pollinator habitats. Without honeybees, one of the most important pollinators, we’d lose nearly one-third of our current food supply. There are also the environmental tolls of transport – both of crops and animals. There’s the massive amount of water routed to animals, energy, and land. “It’s a highly inefficient system,” says Friedrich. Clean meat could also be part of the next wave in urban farming, with city-based operations – “meat breweries” -- producing fresh meat, poultry, or fish in warehouses, rather than rural farm lots, reducing transport time to minutes, rather than days. As more people now live in cities than rural areas, the bucolic country farm is becoming a less realistic component of the food supply – be it meat, eggs, dairy, or plants. In many cases those small family farms have been replaced by industrial megafarms. For the small farmers that do remain, the city is the new country. 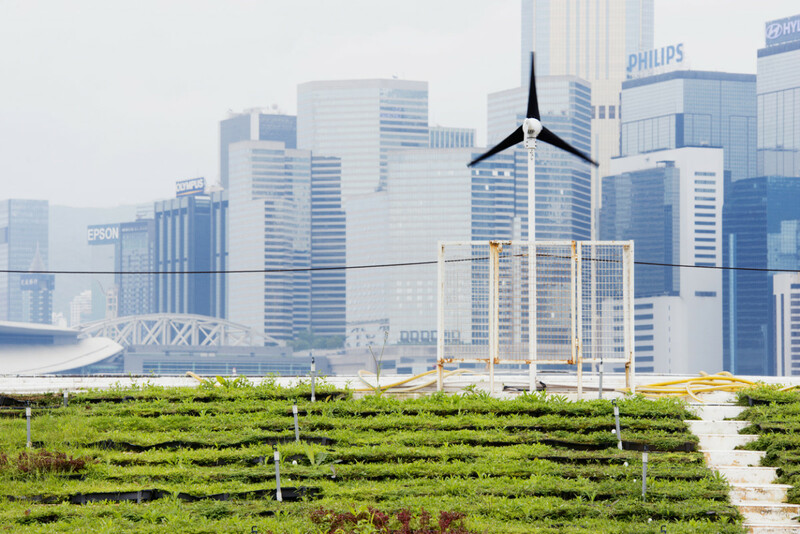 Farm operations that continue to move closer to or position themselves right inside city centers will not only make fresh, local food more accessible, but, in the case of growing plants, bring air-cleansing green spaces to otherwise colorless, hazy cityscapes. My Pennsylvania hometown, Pittsburgh, recently announced it’s opening the gates to the nation’s largest urban farm lot just across the river from a downtown blackened for decades by turn-of-the-century industrial steel mill pollution. While Pittsburgh and other large U.S. cities have brought farmers markets and urban farms closer to their communities, it’s a drop in the bucket of what the cities of the future will need to look like. "People eat meat despite how it’s produced, not because of how its produced." And that’s a critical distinction. Tetrick points to it as well – noting that he’s vegan, but not because he doesn’t like the taste of meat. There are many vegans like him. He doesn’t like the system; he doesn’t like the suffering. He’s convinced that most people – even his own dad, for example – wouldn’t know the difference if their normal fast food chicken sandwich or nugget was made from clean meat. And for the most part, they probably wouldn’t care. Most people, he says, want to make the most ethical and responsible choice possible but "they don’t want to give up their comforts." 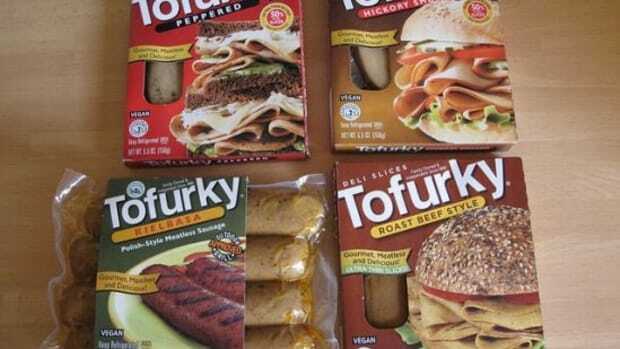 So, why don’t we just eat more plant-based foods that taste like meat? "Vegan products and restaurants are opening up left and right and traditional chefs are offering more plant-based options as well on their menus," says Cora. The innovations happening in that space are in some respects even more impressive than growing meat from cells. Meat is an obvious endpoint when you take chicken cells and culture them – you’re going to get something quite like chicken meat. But what about taking peas, beets, and coconuts and getting them to taste convincingly meaty, like Beyond Meat has done with its Beyond Burger? Or Impossible Foods meaty soy-based patty? These aren&apos;t the crumbly veggie burgers lost to barbecue grill slats of Labor Day cookouts in the past. For all intents and purposes, this is meat, only it’s made from plants. To the consumer, it’s nothing short of sheer alchemy. 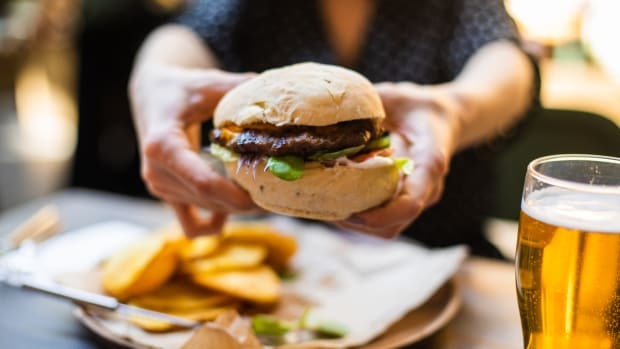 While the plant-based burgers are good enough for a lot of consumers, they may not be able to satisfy everyone. At least, not at every meal. "Replacing industrial meat with clean meat is a colossal win for getting GMO crops [and their companion herbicides] out of the marketplace." And clean meat delivers another victory for clean food proponents: it could bring an end to genetically modified crops like corn, soy, alfalfa, and canola. The majority of these crops are grown for livestock feed, and while there’s controversy over whether or not the technology of modifying a seed is safe, what’s become clear is the reason for those modifications aren’t. The vast majority of GMOs are modified for one purpose: to tolerate heavy applications of herbicides and pesticides. Use of Roundup, the best-selling herbicide made by St. Louis-based agrochemical giant Monsanto, has increased to 9.4 million tons worldwide since it was introduced in the 1970s. Glyphosate and other agricultural chemicals have been linked to human health risks – the World Health Organization classified glyphosate as a possible human carcinogen in 2015. Its efficacy has also come into question. Weeds have developed resistance to the herbicide after just a few generations, causing farmers to have to increase applications or resort to stronger chemicals. 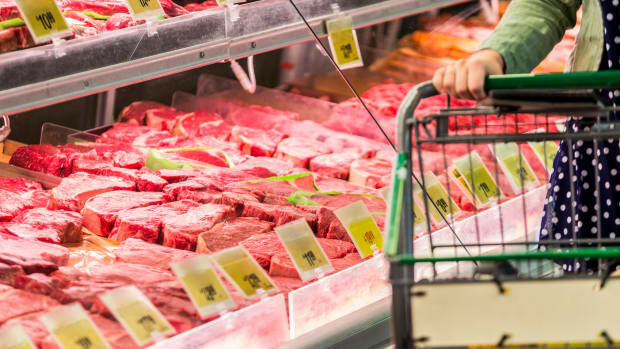 “Replacing industrial meat with clean meat is a colossal win for getting GMO crops [and their companion herbicides] out of the marketplace,” says Friedrich. By replacing the need to feed a 1,200-pound steer every day and just feeding the cells that produce the meat instead, clean meat also eliminates the need for antibiotics, another huge health concern. Farmers began adding antibiotics to meat around 1950 when they realized the drugs used to fight infection had an interesting side effect: they help the animals put on weight rather quickly. 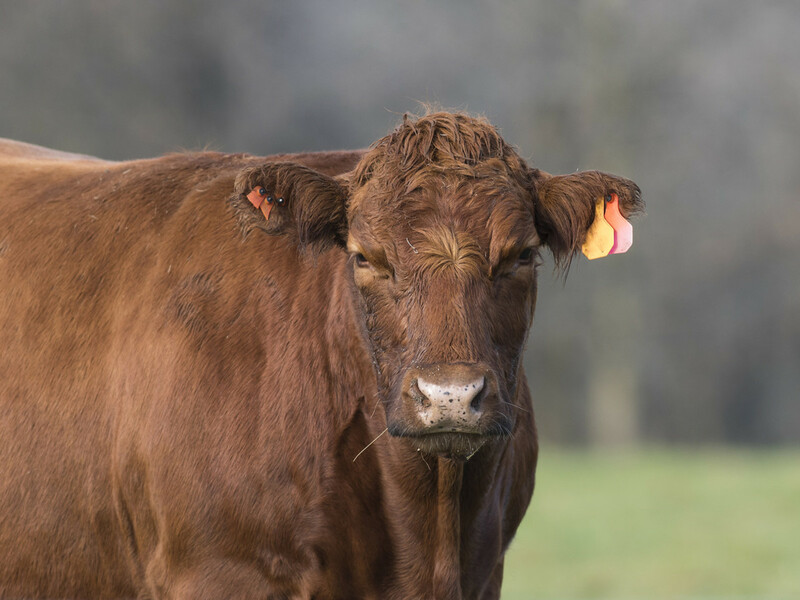 Today, approximately 80 percent of the nation’s supply of antibiotics are routed into livestock production, and that practice is having a side effect of its own: antibiotic resistance. Routine exposure to antibiotics in our food supply has led bacteria to become resistant to common antibiotics and even some of the most potent last resort antibiotics available. In his recent book named after his animal rights organization Mercy for Animals, founder and executive director Nathan Runkle, tells the story of a history-changing victory he had with Nestlé, the world’s largest food company, after MFA posted undercover video implicating a Nestlé dairy supplier on its website. "We can run a company saying we have a strong ethical code, but if it’s not upheld at even the lowest levels, we’ve failed." "No corporation as big as ours should have suppliers who are breaking laws, behaving irresponsibly, or inflicting pain and suffering, and we’re determined that’s never going to happen again," Nestlé executives told Runkle and his team. "We can run a company saying we have a strong ethical code, but if it’s not upheld at even the lowest levels, we’ve failed. So after we met with you ... we hired independent auditors through-out the dairy supply chain in order to find the cracks in the system. We visited dozens of farms in several states, and unfortunately, we found a lot." The situation resulted in a huge shift -- not just for Nestlé&apos;s animals, but a ripple effect for millions of farm animals. But more than that it helped set the stage for what’s become a common practice -- cage-free eggs are now the norm and suppliers are being held to higher standards every year. Just this week Nestlé announced it&apos;s withdrawing from the Grocery Manufacturers Association over "key nutrition issues." In recent years Nestlé has moved toward more transparency, supported additional nutritional labeling, and most recently, acquired plant-based company Sweet Earth Foods. It&apos;s hard to imagine Nestlé coming to this place without its relationship with Mercy for Animals. Today, most of the nation’s leading food producers in all sectors have made significant shifts to help improve the lives of the billions of farm animals. Hundreds of suppliers have moved away from controversial farming practices like gestation crates for sows or battery cages for egg-laying hens. Humane standards have also become a key component of the USDA&apos;s National Organic Program. And at the center of all of these shifts are the negotiations with animal rights groups like Mercy for Animals, the Humane Society of the U.S., and PETA -- organizations started and run by vegans. Runkle’s Mercy for Animals can be credited with much of the victories we’ve seen around improvements for chickens in the last decade. His undercover workers have captured some of the most-viewed videos of abuse and controversial practices in industrial farming, leading to huge shifts like he detailed with Nestlé. But it&apos;s not just on the supplier side. The organization&apos;s work to educate consumers has resulted in countless animal lives being spared and the increased inclination of millennials toward a plant-based diet. The group&apos;s Choose Veg program says it&apos;s reached more than 250,000 consumers eager to reduce their meat intake. 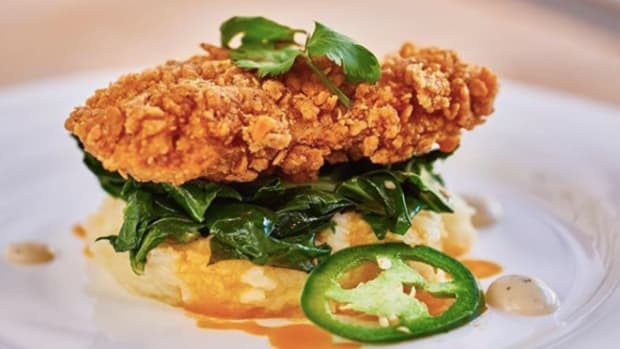 Balk’s work with the Humane Society has recently opened up plant-based options to the nation’s leading food service providers for hospitals, restaurants, colleges and universities; and there’s little doubt he’ll get clean meats on the menus once they’re available, too. Meatless Monday has become a force of nature in the U.S. and around the world – just this week 15 Brooklyn schools announced they’d begin observing the campaign. 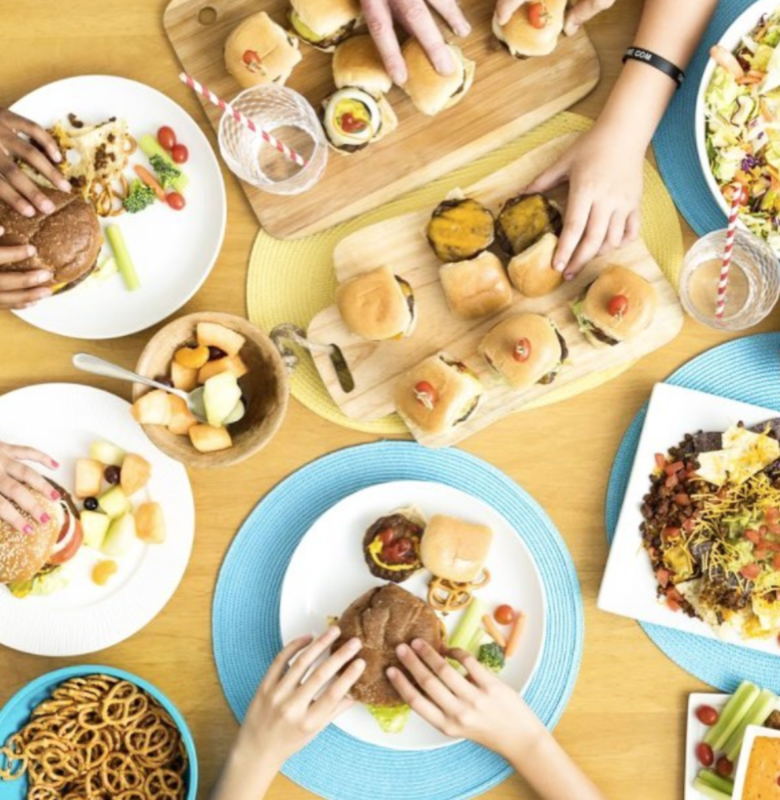 Meatless Monday started out to promote the environmental benefits of giving up meat one day a week and has found its way into government offices, leading Fortune 500 companies&apos; cafeterias, and some of the nation’s largest school districts. Some schools, including one just on the other side of Manhattan, have gone completely vegan. "The solution to the big global crises – that’s clean meat. That’s plants." Tetrick hopes he’ll be eating meat again regularly, only it will never come from an animal – at least not in the traditional sense. It’ll come from a cell or two of a chicken feather, or perhaps an ear rub of a pig.